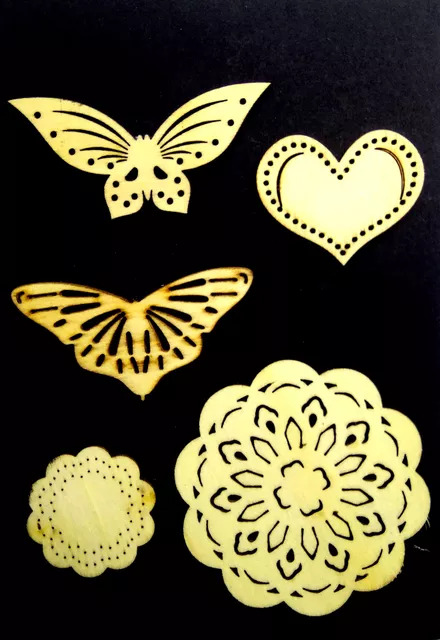 These beautiful embellishments add a touch of vintage indulgence to your altered art and craft projects. Our laser cut MDF wood shapes add the finishing touch without weight or bulk to surfaces, plaques, frames, papercraft projects and more! As these are MDF rather than chipboard, they add a natural finish to your projects and require no or minimal embellishment - but you can still go in with the gilt wax, paints, stains, and inks to create endless variations to suit!